Have a boo boo? Coconut oil! A cup of black coffee? Coconut oil! Okay, so maybe you aren’t thinking the above thoughts, but I am. Between Thursday’s super weird granola bar dream confession (#sorry) and today’s random self mumblings, if you’re still here, thank you! You’re such a good friend! So, back to coconut oil. Or in this recipe, back to not using coconut oil. Shortly after my first homemade product, foundation powder, I learned about a magical white substance: coconut oil. Of course, I just had to get my hands on a jar. I’ll admit the taste wasn’t pleasing (I’m not a straight-up coconut fan), but I was determined and found ways to incorporate this miracle substance into my family’s diet: smoothies, frying (plantains and chicken), baking, and Bulletproof Coffee. 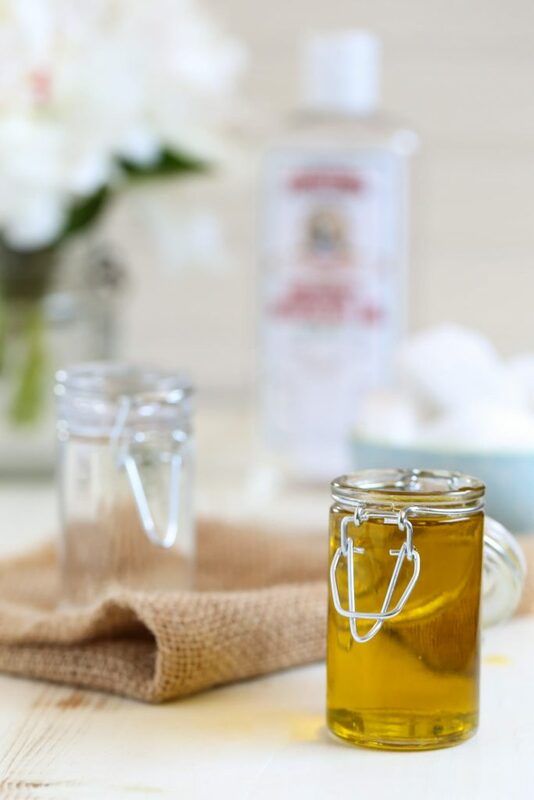 Since we were already eating coconut oil and I was looking for ways to reduce the toxins in our home caused by many traditional store-bought products, I decided to venture into the world of DIY coconut oil recipes. My first DIY coconut oil recipe was a super simple three-ingredient moisturizer for the face and body. Instant love! The coconut oil moisturizer was easy, cost-effective and worked wonders on my skin within just a few days. I was hooked. I continued to use my homemade moisturizer for over a year, until I noticed my skin was experiencing grumpy issues. While my skin has always been more on the sensitive side, the moisturizer appeared to escalate its grumpiness. Breakouts and dryness appeared on various parts of my face. After much research, I learned some skin types don’t respond well to prolonged cosmetic use of coconut oil. My coconut oil moisturizer is a great product (the reason I left it on the blog), and many readers comment on that one recipe about their pleasing skin results, but my skin needed a temporary break. 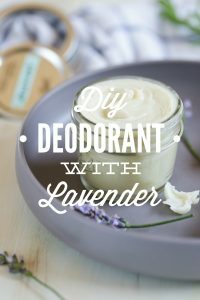 I decided to try my creative hands at a new DIY moisturizer. My skin immediately thanked me for the change. After a couple of months I decided to post the recipe here on Live Simply. Homemade lotion (without coconut oil) has been live for over a year. The number of comments from readers in need of a product without coconut oil due to allergies or skin issues has confirmed my belief–coconut oil is amazing, but doesn’t solve every ailment for every person. I think all this coconut oil talk begs the question: Is coconut bad for the skin? This is 100% my personal opinion based on my own research and experiences. I don’t believe coconut oil is bad for cosmetic use. In fact, I think it’s an amazing product for many people. I also believe coconut oil doesn’t agree with some people’s skin, whether long-term or just short-term. It’s so important to listen to our skin, which is why I offer recipes that use coconut oil and others that don’t. Everyone is different. I still use coconut oil in some body products, like my homemade deodorant, without any negative side effects. 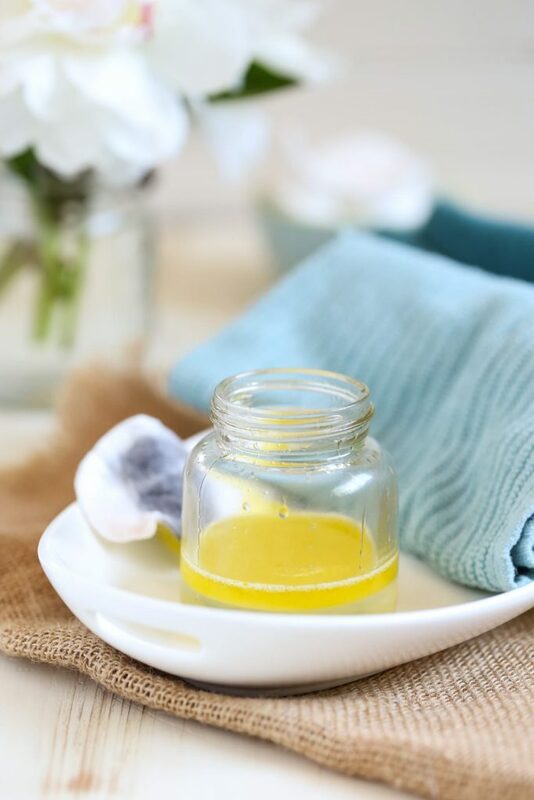 Homemade products allow you to truly listen to your skin’s needs and tailor DIY projects accordingly. 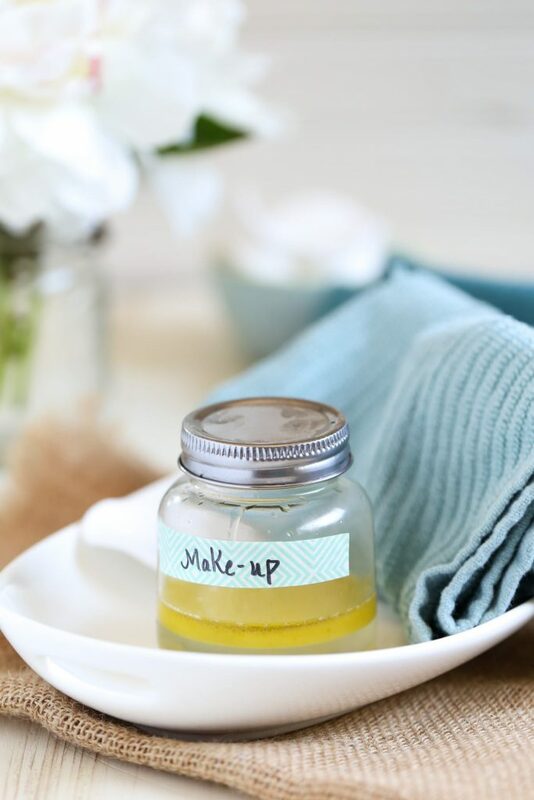 Many homemade makeup removers require the use of coconut oil. In fact, if your skin tolerates coconut oil, using this one ingredient on a cotton ball or facial pad is a simple, inexpensive answer. 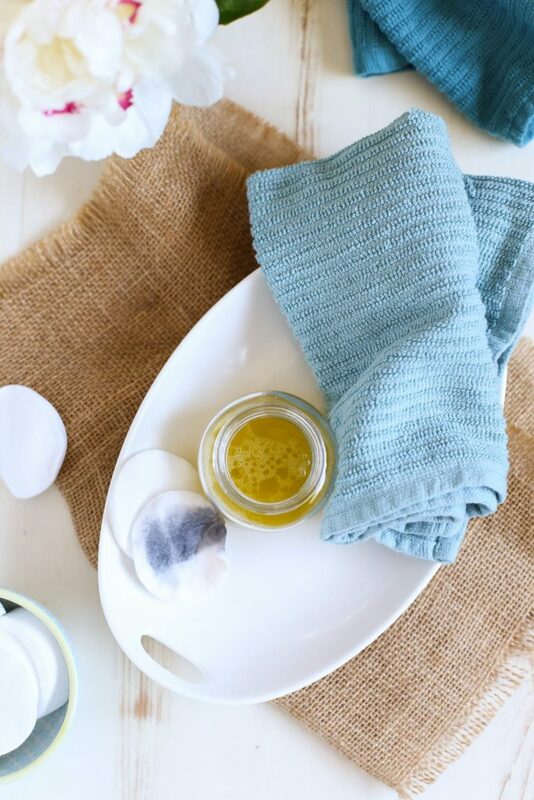 If your skin needs a break from coconut oil or you have a coconut allergy, this recipe will remove makeup naturally without irritating the skin. Remember, getting to know your skin is always the answer when using natural skincare. 2-ingredient makeup remover without coconut oil. 2 TB jojoba oil or sweet almond, avocado, apricot kernel, olive oil, or fractionated coconut oil (if you want to use coconut oil). I like to use jojoba or olive oil. Pour both ingredients into a small storage container. To Use: Shake the bottle, then apply the makeup remover to a Q-Tip, cotton ball or facial pad. Wipe desired area (mascara, foundation, etc.) with the Q-Tip or ball/pad. Witch hazel is a gentle and effective skin cleanser. The nourishing oil helps dissolve oil and cleanse the face. When paired together, the ingredients are gentle on the skin (concealer foundation, powder, and blush) and the eye area (mascara, eyeliner, eyeshadow). Use caution around the eye area. Avoid using this recipe in your eye–this can happen when too much solution is applied. Sounds great, Joy! Thank you for sharing. Hi there, could you tell me is this suitable for daily use as a general cleanser? The recipe uses quite small quantities, does it work just as effectively to double of triple the quantities? Thanks so much 🙂 Also I’ve started using coconut oil alone as a mosituriser but I have developed dry patches, maybe my skin is just adjusting, or could it be allergic? I’m just starting out on the natural skincare path, so any advice would be wonderful! Hey Catherine, This recipe can also be used a cleanser. Doubling or tripling the recipe will be necessary if it’s used as a facial cleanser. Some people have coconut allergies (resulting in severe reactions), others have skin that doesn’t agree with coconut oil. I personally think some of it is based off where your ancestors came from. If you’re noticing dry patches that are uncomfortable or a rash, I would look into a different way to moisturize. 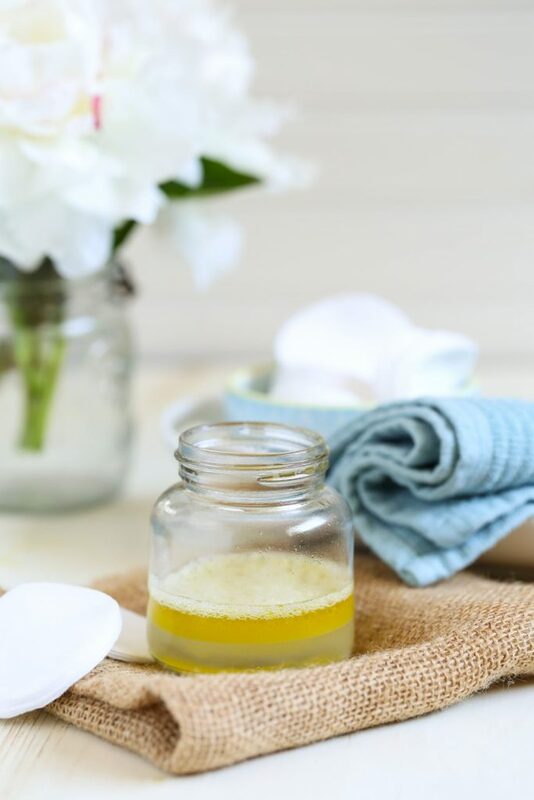 I have a gentle, moisturizing serum recipe that works very well: https://livesimply.me/2015/01/18/diy-homemade-facial-serum/. And the shea-based lotion :). I would like to add a word of caution. In the past I have been prone to the occasional stye every few years (basically, a pimple on the lash-line or eyelid.) I started to get them every few months in the last couple of years and one was so bad I had to have it surgically removed. While I was there I asked what was causing the more frequent break outs and the doctor told be some people were just more prone to them and I felt unresolved with that response. I went to the eye doctor today and she told me a stye is caused by oil clogging the pore, she added that my face didn’t seem very oily. I then told her how I had been using a nourishing oil to remove eye-makeup and she said it was very likely causing the break-outs. She said baby shampoo is great for cleaning the eye lids and lashes and could help prevent future breakouts. That said, if someone does notice a pimple on the lash line or eye lid. They should apply a clean warm washcloth for several minutes multiple times a day until it clears up. If it becomes hardened, a minor eye surgery may be necessary. The best way to avoid this is to be religious about that warm washcloth. If a stye goes untreated it can’t progress to the extent of damaged vision so please see a health professional. Thank you for sharing, Bethany! That’s so interesting about the oil and a very good thing to know! Witch hazel is used as a skin toner so it balances the oil in this recipe. I would like to add, since writing the former comment that I find baby shampoo very drying to the eye area.-Even natural brands. I have been avoiding eye makeup all together since I get a breakout every time I wear it, no matter how I clean it off. What may be a better option is a homemade eye makeup for my particularly sensitive skin. I just wanted to share some more information that perhaps some may not be aware of. To avoid eye irritations, always throw away your mascara tube after six months, whether you use it all or not. The reason being, the pumping motion one uses to get the makeup out drives air into the tube where bacteria will grow and multiply. The same is true for tubes of lip gloss. I hope this is helpful information and not impertinent of me. :-) I am giving this eye makeup remover a try as soon as I can make myself some mascara and eyeliner. Thank you so much for sharing, Bethany! 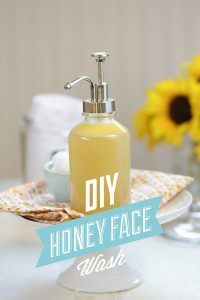 Another option…I’ve been using the honey and aloe cleanser lately for facial cleansing (https://livesimply.me/2015/10/07/homemade-honey-and-aloe-facial-cleanser/) and find it works extremely well to remove makeup, too! Hey Natalie, Lavender or tea tree would be great in this makeup remover. Another option, if your skin tolerates coconut oil, is to use straight-up coconut oil and a cotton ball. Great recipe! I have tried everything over the years(43) now over the counter and rx to help with very oily skin, acne and sensitive skin now through in aging. I have started trying to go more of a natural approach at this time. I have tried Coconut Oil Scrub and just plain Coconut Oil and it breaks me out with acne even worse. Kind of at a loss. Any thoughts. Oh and I do use Thayer’s Cucumber Witch Hazel am & pm. Also started using an African Soap i bought 1st @ Whole Foods, then @ Target. Whole Foods brand is more Authentic. Don’t know what to do about the other, any thoughts would be great! Very interesting article about coconut oil. Thank you! A word of caution on putting tea tree oil in your face wash…I find tea tree oil to be very pungent. I use it on my face to help with blemishes as it is very drying. This may be a side effect for others as well. Also, if you were to get this oil in your eye (sometimes hard not to do if using as a cleanser, wink! ), you would not be a happy camper! Thank you for sharing alternatives for coconut oil! Hey Julie, Thanks for sharing! Please excuse my silly question. Does it matter if you purchase Thayers Original Witch Hazel with Organic Aloe Vera Formula Astringent OR Thayers Original Witch Hazel with Organic Aloe Vera Formula Astringent (ALCOHOL FREE). Hey Carol, I personally like the alcohol-free version, but either will work. PS: I have a non-witch hazel solid makeup remover coming out tomorrow :). Awesome. I will tune in tomorrow. I rarely comment on blog(not sure why) but I had to leave you a note! This is EXACTLY what I have been looking for 😀 As you said most DIY makeup removers out there contain coconut oil or are coconut all by itself. I have been doing oil cleansing on my face for around a year but never used coconut oil because I had heard it can be clogging and found a different mix oils that suits me better. 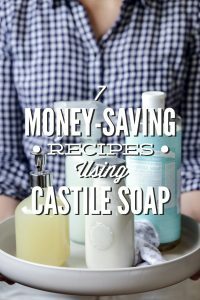 So now that I am expanding some of my other skincare into the DIY realm this is just what I needed! I even have the ingredients at home already. Can’t wait to try it 🙂 Thank you! Hey Sara, Thank you so much for the comment! I’m so excited for you, and can’t wait for you to try this! I had been using straight up coconut oil, but missed my old “chemical loaded” eye makeup remover. This is the perfect recipe in the middle of those ! Works so much better than just coconut oil. Thanks !! Awesome, Lindsey! I’m so glad you’re enjoying the makeup remover! Hi Kristin! Great post. I am very very sensitive to most cleansers out there and the only one I use now is a neutrogena one, but honestly I think it just strips all the moisture out and causes pimples here and there. I’ve been searching for a long time to find a simple cleanser that will remove all my makeup and cleanse my skin, but I’m scared of breaking out. Will the witch hazel in this recipe, along with the oil, remove all makeup? Do I need a separate cleanser? Every cleanser I’ve looked up contains coconut oil and I can’t use it cause it breaks me out. Hey Gina, The witch hazel and oil should remove all makeup, from my experience. I’m sure it could also depend on the kind of makeup used. I also like to use a simple cleaner on my skin, in addition to a makeup remover. Here’s the cleanser I’m currently using: https://livesimply.me/2015/10/07/homemade-honey-and-aloe-facial-cleanser/. Another super gentle makeup remover option is this one: https://livesimply.me/2016/03/25/2-ingredient-makeup-remover-balm/. This option is also very effective at removing makeup, and it’s also very gentle. Hey Jona, Yes, you can do that. Hey Jill, I like to follow-up with my facial cleanser after using a makeup remover, but you definitely don’t need to :). Hi Kristin. I made this recipe yesterday and I personally don’t like it. Don’t get me wrong, I LOVE YOUR RECIPES. But I need to use a lot of it and even tough it let’s my skin very moisturized, I preferably use inexpensive makeup wipes (1€ 25 wipes) because after that I wash anyway the chemicals with your diy honey face wash and I use the toner with witch hazel and green tea (which is A-M-A-Z-I-N-G) and then put 3 drops of my face serum. Thank you for all of advices. It’s a real pleasure to read all of your little stories ???????? Hey Alexandra, I’m so glad you’re enjoying the blog, and the other recipes. I’m sorry to hear this recipe didn’t work so well for you, but I completely understand. I love that you’ve found something that works great for you, and you’re using such great products to clean, tone, and moisturizer your skin. Keep up the amazing work!! I don’t live in a country where Which hazel is available, what can i use to replace it ? Hey Ines, I would just use oil, if possible. 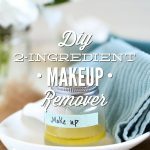 See number one in this post: https://livesimply.me/2015/05/17/diy-2-ingredient-makeup-remover-without-coconut-oil/. I love using olive oil to remove makeup. Then washing my face with baking soda, then using witch hazel as an astringent and vitamin E as a moisturizer. Awesome, Emily! Thank you for sharing. Hey Kristin! Question, what is Jojoba oil supposed to smell like? I ordered some from the brand “NOW Foods” and it smells a little weird, like meaty?? Is this normal? Glad you found something that worked for you, Polly. Thanks for sharing. 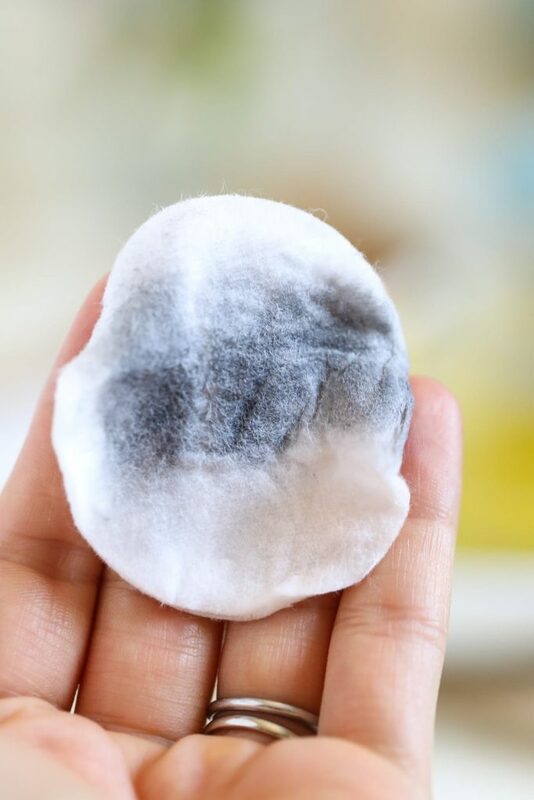 How long will the diy makeup remover to last? Because im planning to do it for a 6 months usage. Is it possible? Hey Hazimah, I recommend sticking to small batches when making any kind of homemade skincare product like this. How long the product lasts will depend on a number of factors: how it’s stored, how it’s made, etc.